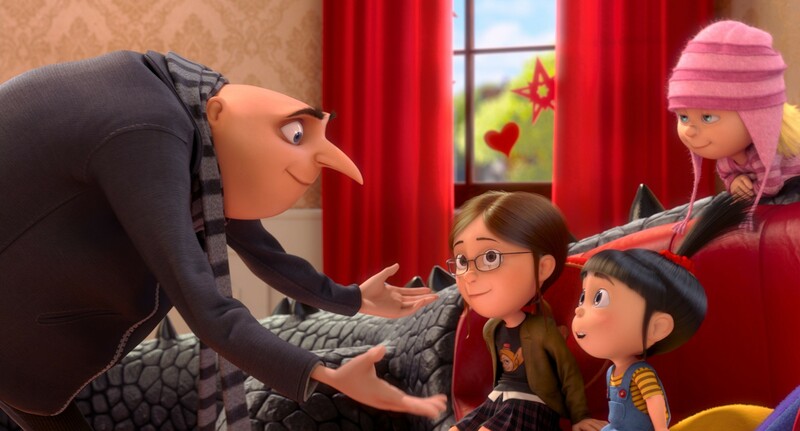 Gru (Steve Carell) and his adopted daughters the adorable Agnes (Elsie Fisher), ninja-in-training Edith (Dana Gaier) and just discovered boys Margo (Miranda Cosgrove) are back in the follow-up to the 2010 family friendly hit. This time around, Gru, now living the straight and narrow, and being the best dad he can be, even if that means dressing up as a fairy princess for Agnes’ birthday, is recruited by the AVL or Anti-Villain League to track down a missing formula which can turn the most adorable and benign creatures into savage monsters. All this while Agnes is longing for a mother figure, Margo is chasing Antonio (Moises Arias) and Doctor Nefario (Russell Brand) decides to leave Gru’s employ for eviler pastures. Along comes the AVL in the persons of Lucy (the always delightful Kristen Wiig) and Gru finds himself undercover in Paradise Mall, running a confections shop called Bake My Day. Tracking down suspects he comes across Eduardo (Benjamin Bratt), whom he believes may be El Macho a super-villain who faked his own death, and Floyd (Ken Jeong) a tiny fella who runs a wig emporium. Like its predecessor, the film has enough to entertain younger viewers, but more than enough to involve the bigger kids like me posing as adults. 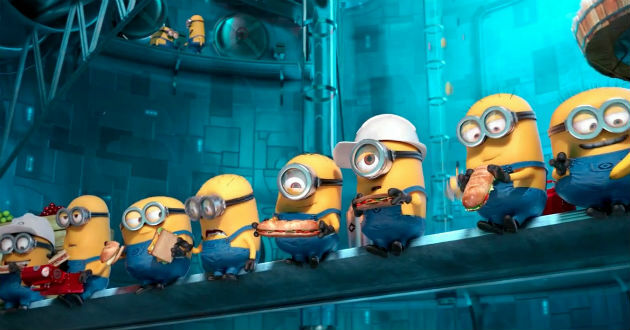 Of course, you can’t have a Despicable Me movie without the minions. And they definitely get more screen time this time around than they did in the previous film, and I can understand why, they are an insanely popular creation, and while I do like them, I don’t think they needed as much time as they got. It didn’t detract from the film, but occasionally I was hoping they’d get back to the story proper. Of course, a slew of the boys get injected with the missing formula and become purple, all-devouring, but still comedic monsters, and Gru must save them and the kidnapped Lucy. The film does have some great moments, and little homages to tons of films, I actually lost count of them, but there were a number of Bond references, most notably Lucy’s car. As a movie, it completely embraces what it is there to do, entertain, and I laughed my way through almost all of it, genuinely enjoying myself, and for the first time, found an animated CG film that could rival Pixar’s yearly entry. It’s obvious that the voice actors loved their work, as there’s a real sense of joy to their performances, the CG as well as the 3D work is a lot of fun. In fact for the most part, the 3D is simply used to add depth to the film’s image as opposed to making things fly off the screen at you, though there is some of that at the end of the film during the credits when three minions get an opportunity to goof off. Summer movies can be hit and miss, and when you’re taking a family, or just going as a couple, it can be pretty expensive, so you have to make sure you choose the right ones. For my money, this one is a safe bet, and a lot of fun. 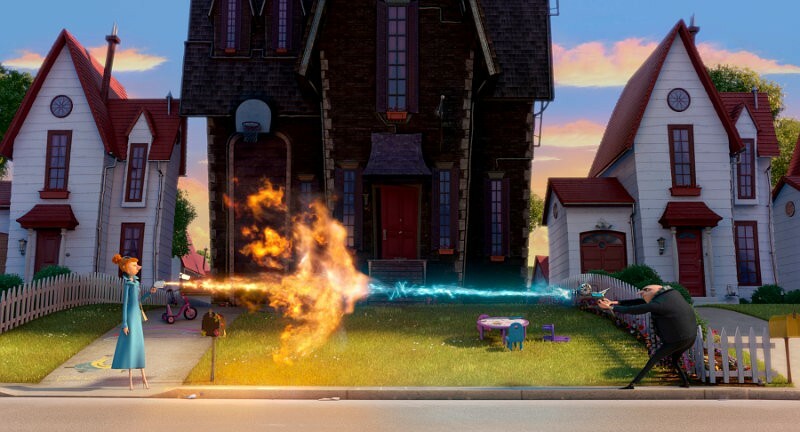 I’ll also be there for Despicable Me 3… so let’s make it happen!